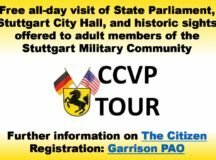 If you haven’t already done so, the CCVP tour is a must during your tour of duty in Stuttgart. 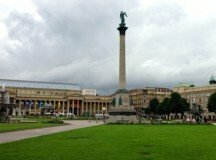 Join this free tour to learn about the German-American partnership and Stuttgart’s history. 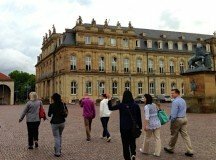 Capital City Visitation Program kicked off its 2016 season. 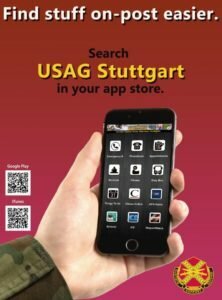 Sign up for the full-day historic walking tour, including free lunch with USAG Stuttgart’s Public Affairs Office.